Listen up if you want to hear what researchers, scientists and doctors have to say about the health benefits of the ancient but “newly emerging” plant called Ashitaba (Angelica Keiskei). Naturally growing on coastal lands in Japan (last week we wrote a in depth article about growing ashitaba), it has been a staple in the Japanese diet and “regular” in their medicine cabinets for centuries. While most of the world has been sleeping, Ashitaba has begun “rearing its healthy head” in natural food stores and on the worldwide web in recent years. As legend has it, the Japanese have used Ashitaba— generation after generation—probably because “grandma” said it worked! But, until recently, the knowledge of its health properties was based on hearsay and folklore. It wasn’t until the 90s that modern researchers—hearing of its benefits —put on their lab coats and went to work. In 1991, Y. Inamori and his group of scientists from Osaka University in Japan set out to find what was so magical about the plant. They were specifically studying “chalcones”—naturally occurring antioxidants found in the plant that provide the medicinal properties. Inamori’s research was focused on two specific chalcones (xanthoangelol and 4-hydroxyderricin) which he isolated because they were thought to provide powerful anti-bacterial benefits. The scientists actually used the drug Streptomycin in the study, and compared its potency to Ashitaba. While Streptomycin was more powerful than the plant, they found Ashitaba to be very effective against Staph and Strep infections (and you don’t even need a prescription!). Another research group lead by Takata Okuyama from Meiji College in Tokyo, was looking at the anti-tumor benefits of Ashitaba. They were focusing on Ashitaba’s golden, oozing sap that is extremely rich in specific “chalcones”. 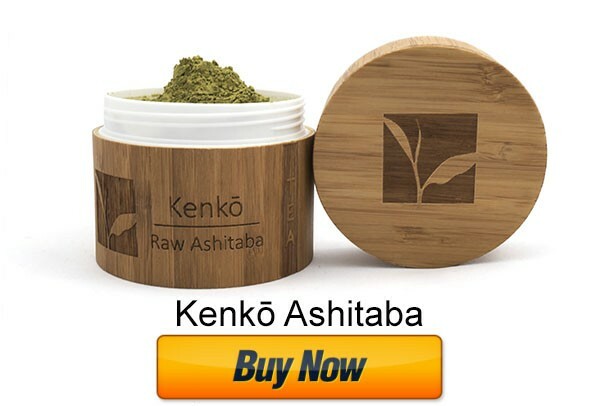 The scientists stated that potent anti-tumor promoter activity has been found in “extracts of the root of Ashitaba which is eaten as a vegetable in Japan”. But wait! There’s more! Ashitaba can also keep your blood healthy. This, according to Jing-Ping OY, and associates at the Medical College of Wuhan University, Wuhan China. This group of scientists wanted to learn if Ashitaba could protect human endothelial cells. Endothelial cells are cells that line the blood vessels. Further, they wanted to know—when Ashitaba was present in the blood— how red blood cells preformed when they were “squeezed” or “squished” as they passed through tiny capillaries in the body (scientists call this deformation, and only healthy red blood cells can withstand the pressure). Armed with all this knowledge, doesn’t it just make good sense to include Ashitaba in your daily regimen? It’s fairly cost effective, tastes good and is loaded with those healthy “chalcones.” Why not add it to your daily diet in the form of capsules or powder, or include it in smoothies, juices and other beverages? That way, you can capitalize on its now “proven” health benefits! Parece especialmente interesante, tengo prediabetes y no quiero depender de ninguna pastilla, me interesa muchísimo conseguir semillas o planta. soy español, y no encuentro distribuidor, donde puedo conseguir la Ashitaba? Just eat a few leaves every day. It doesn’t have side effects and there isn’t a specific point you should stop doing things that are good for your health. Ray do you have any plants for sale? Where can i buy ashitaba seeds? Organic seeds or seedlings can be bought at strictlymedicinalseeds.com . For a prepared tea we recommended kenko.green . Have any studies been done comparing ashitaba with astaxanthin? No not yet. There are some good studies with Ashitaba alone but the level of research and finding on the plant are still new. I drink the tea everyday. Does it have caffeine? Actually it is caffeine free but most people still get energy from it so pretty good decaf alternative to green tea.